A Primitive Skills Guide To Important Edible, Medicinal, and Useful Plants of the Northeast, volume 1. 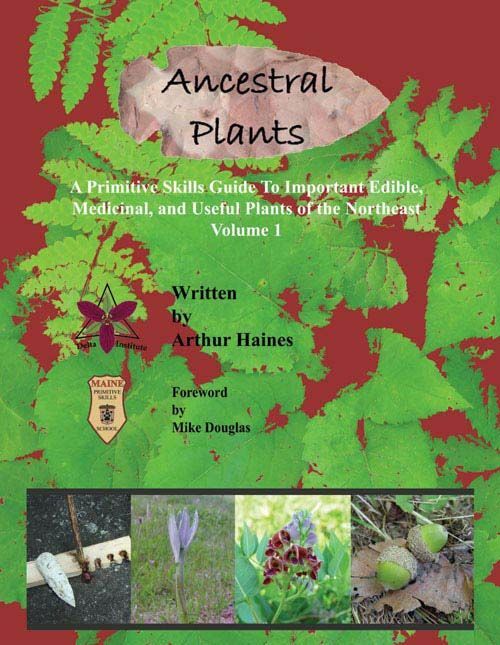 Ancestral Plants volume 1 is a foraging, wildcrafting medicine, and useful plant reference that details 94 species of wild plants that grow in the northeastern United States and adjacent Canada is a variety of habitats, ranging from coastal shorelines to high mountain tops. Many of the plants are widely distributed and found across the continent and in Europe as well. Each species includes at least two full color images, a description of the plant and the natural communities it is found in, as well as information on its edible, medicinal, and utilitarian uses. A foraging calendar is provided to help the reader identify what is available at different times in the growing season. Introductory chapters on how the Ancestral Plant series is formatted, foraging, and herbal medicine are included. The ebook contains the original 219 pages of the printed text with some edits for typos and updated scientific names of plants. The ebook is available through E-junkie. Purchase of this reference enables the buyer to download an encrypted PDF file that can be viewed on a variety of devices.